Five free tools to choose perfect colors for your website. Color coordination plays a big role in the look and feel of a website. An appealing color scheme is an important prerequisite for eye-catching web design. Dull or very sharp colors or mismatch colors will not only look ugly it may overshadow other nice elements of your website. Choosing vibrant, harmonious colors that are pleasant to eyes enhance the aesthetic appeal of a website. 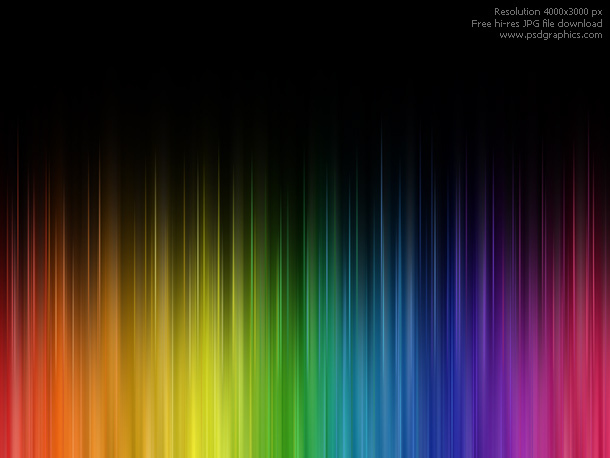 Following is a list of online resources you can use to construct the color schemes for your next web design project. Kuler is a feature-rich online color free tool from Adobe that you can use to create your color themes or browse through thousands of themes generated by community members. As a registered user, you can save your themes and then view them in MyKuler. You can create themes using a single color or by using a color wheel. You can also extract color scheme from your images, for that you can upload your images or import them from Flickr. Kuler is my favorite. Like Adobe Kuler, Colorrotate is also a free, online tool to generate color templates, but this is a 3D tool. Its intuitive 3D interface is fun to use and it enables you to quickly see the multidimensional nature of your colors and the relationships between colors. You can use its drag-and-drop option to adjust hue, brightness, and saturation. You can load color themes from your images. It also has a vast collection of community generated themes that you can browse to get some inspiration. ColorSchemeDesigner is another free, online tool to generate color palettes. Its unique, easy-to-use color theme creator packs many useful features. You can generate single monochromatic, complementary, triad, tetrad, analogic, and accented analogic color palettes. Not only you can create the color palette, you can also use their preview function to apply your palette to a dummy web page, to see how your colors will look on your website. This will definitely save many designers lot of time. Another great feature is the ability to export your color palette as a Photoshop palette, HTML+CSS, XML, TXT, and GPL. This tool does not work in IE6. If you need color inspiration, you will love ColourLovers. Designers from all over the world share their creative ideas on this website. It has over 286,866 members and showcase more than 2,407,124 colors, 1,090,882 palettes and 732,299 patterns. You can create your own color palettes or just pick one from this enormous collection. COLOURlovers is a resource that monitors and influences color trends. COLOURlovers gives the people who use color – whether for ad campaigns, product design, or in architectural specification – a place to check out a world of color, compare color palettes, submit news and comments, and read color related articles and interviews. If you don’t want all the bells and whistles of above-mentioned tools, you may want to try Color Wheel. This is a simple web-based tool to view and choose web-safe colors. It offers you a palette of seven colors, displayed on the left side of the screen. You can change these 7 colors one by one by clicking on a color wheel. It is a nice little tool to generate a color palette. What are your favorite tools for creating color schemes? Nice tools indeed. Hopefully, they’ll save the world from a lot of web sites with unfortunate color choices. Having a automated bookmarking tool is indispensable, because this means you can save an average of 3-4 hours a day, or possibly an average of $200/month in bookmarking services while you create the greatest results in terms of traffic and Page Rank increase.I believe that social bookmarking is a process you just cannot skip if you desire your business to actually start moving, also using a nice automated bookmarking software is definitely the most essential and cost effective way to do it. I like the tools introduced on this page and I have one more tool I am using very often, which is also very usefull: It is called Pipette and with this tool you can grap colors from images, other websites and so on. The colors can be adjusted and saved and you can easily copy them to your clipboard to reuse them. The tool is free and portable and you can get it here: http://www.sttmedia.com/pipette Thank you very much again! Good site & Thank you. It’s helpful for us. If you want, please visit my free url promotion site. I’m still learning from you, as I’m trying to achieve my goals. I absolutely enjoy reading everything that is written on your website.Keep the information coming. I enjoyed it! Alas, my sites are probably flat out awful to a trained eye. (Don’t look! Now I’m nervous.) I just don’t like sites that are too dull, though. I’ve got to see some vibrant color or I’m looking for an excuse to click away. Yet I know that I shouldn’t design like I want, but like the majority of visitors wants…. I like how you use the graphics at the beginning of every post. It’s very eye-catching. Thanks for the tools! Good post! I was wondering, as I normally read most of the posts here is there any way I can get updates sent to my inbox? Thanks so much for the tools! I’d come to engage with you on this. Which is not something I typically do! I really like reading a post that will make people think. Also, thanks for allowing me to speak my mind! This is the best weblog for anybody who needs to seek out out about this topic. You realize a lot its virtually exhausting to argue with you (not that I really would need…HaHa). You positively put a brand new spin on a topic thats been written about for years. Nice stuff, simply great! My top recommendation is to see the CFA Level 1 Stalla course from Morgan International. Using a good colors for your blog is wonderful and you can only achieve it by using a right tools like this. “Being Here” sounded such as the Stills are sharing a story of their. I’m not positive anyone’s interested in wanting to get the [url=http://free–iphone.com]Iphone5[/url] or not, but here is a site i’ve found that offers contests giving them away. it is simple & painless to enter & FREE!